We help artisan contractors find lower workers comp rates on their coverage. Find out if your construction business qualifies for one of our Target Contractor Programs. It's getting harder and harder to find affordable workers compensation insurance quotes for artisan contractors and construction companies. Rates have increased over 25% for many related classification codes in most states. That's why we've partnered with several of our insurance companies to create lower cost programs for most types of artisan contractors. Buy coverage with us and save. 5191 Electricians: Electrical wiring within buildings. Broad classification for most types of electrical contractors. 5183 Plumbing. This code applies to most types of plumbing operations and includes the installation, removal, and repair of equipment that is used to move water and gas. It also includes boiler work and beer drawing equipment. 5537 HVAC contractors: Heating, ventilation, air conditioning, and refrigeration systems. Applies to the installation and servicing of all types of HVAC equipment. This class typically includes all related HVAC employees and contemplates wiring, cleaning, adjusting, plumbing, and sheet metal work when performed by HVAC contractors. 5221 Concrete construction: Concrete or cement work- floors, driveways, yards, and sidewalks. This code is used for any type of ground paving other than streets and roads. It does include curb and gutter work. 5474 Painting. This class applies to most painting contractors engaged in painting various things including residential houses and commercial structures. It includes both interior and exterior walls. 5437 Finish carpenters. This code is intended for contractors who specialize in interior carpentry finish such as paneling, wood floors, staircases, cabinets, interior doors, and counters. No rough carpentry such as framing is included under this class code. 8227 Construction: Permanent yard. This class is a common addition to many contractor operations. It applies to permanent locations or shops maintained by contractors for storage and equipment maintenance. This code is intended only for dedicated shop employees. CODES Other related program codes that may apply to our artisan contractor comp programs include: 5478- carpet and vinyl floor installation, 5348- tile installers, 5102- door and window installers, and 5108- overhead door installation. NOTES Many states have specific exceptions to artisan contractor classifications. Contact our Specialists for detailed rules about your state and class code. We offer exclusive access to the most affordable workers comp prices for most artisan contractors. We also complete coverage solutions including general liability, commercial auto, and tool coverage as well. Start a construction quote today. AmTrust provides highly competitive comp rates and easy GL options for most artisan contractors. 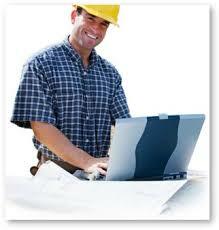 We offer affordable package programs for target construction risks in all states. FirstComp is one of our go to carriers for small construction risks with lower premiums. Accident Fund offers low rates on some painters HVAC, plumbers, and electricians. Traveler's has developed turn-key "Master Pac" coverage options for these target construction classes of business. We've developed discount coverage options wit Hartford for contractors' work comp and liability coverage's. We offer additional coverage options from many of our other insurance carriers depending on your state, business type, and claims history. Give us a call today to learn more about our contractor programs. And to see if your business qualifies for better priced coverage on workman's compensation. A lot of insurance agencies say they write contractors and construction risks. But we've taken the time to establish specialized programs for select class codes designed to save your time and money on your insurance coverage. Get Started online with your insurance quote to find out how much your business can save on workers comp coverage. Or give our Specialists a call today at 888-611-7467.